Designed to improve preK–12 student academic and behavioral outcomes, a Multi-Tiered System of Supports (MTSS), such as Positive Behavioral Intervention and Supports (PBIS) or Response to Intervention (RTI), is a broadly applied framework being implemented in countless schools across the United States. Such educational restructuring and system changes require school counselors to adjust their activities and interventions to fully realize the aims of MTSS. 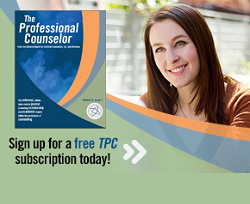 In this special issue of The Professional Counselor, the roles and functions of school counselors in MTSS frameworks are examined from various angles. This introductory article summarizes the key issues and the basic themes explored by the special issue contributors. With the advent of a multi-tiered system of supports (MTSS) in schools, counselor preparation programs are once again challenged to further extend the education and training of pre-service and in-service school counselors. To introduce and contextualize this special issue, an MTSS’s intent and foci, as well as its theoretical and research underpinnings, are elucidated. 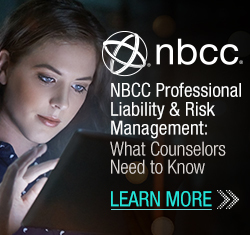 Next, this article aligns MTSS with current professional school counselor standards of the American School Counselor Association’s (ASCA) School Counselor Competencies, the 2016 Council for Accreditation of Counseling and Related Educational Programs (CACREP) Standards for School Counselors and the ASCA National Model. Using Positive Behavioral Interventions and Supports (PBIS) and Response to Intervention (RTI) models as exemplars, recommendations for integrating MTSS into school counselor preparation curriculum and pedagogy are discussed. A multi-tiered system of supports, including Response to Intervention and Positive Behavioral Interventions and Supports, is a widely utilized framework implemented in K–12 schools to address the academic and behavioral needs of all students. 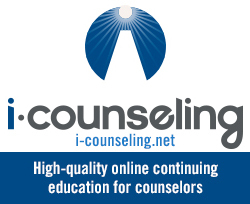 School counselors are leaders who facilitate comprehensive school counseling programs and demonstrate their relevance to school initiatives and centrality to the school’s mission. The purpose of this article is to discuss both a multi-tiered system of supports and comprehensive school counseling programs, demonstrating the overlap between the two frameworks. Specific similarities include: leadership team and collaboration, coordinated services, school counselor roles, data collection, evidence-based practices, equity, cultural responsiveness, advocacy, prevention, positive school climate, and systemic change. A case study is included to illustrate a school counseling department integrating a multi-tiered system of supports with their comprehensive school counseling program. In the case study, school counselors are described as interveners, facilitators and supporters regarding the implementation of a multi-tiered system of supports. As a result of the Response to Intervention (RTI) mandate in schools across many states, school counselors are well-positioned to take a leadership role. The present research study examines how school counselors across the nation perceived their training and knowledge of RTI, as well as their confidence in its implementation. Results indicate that while the majority of school counselors reported positive beliefs about RTI, they had limited confidence in their preparedness to perform certain RTI-related responsibilities, including collecting and analyzing data to determine intervention effectiveness and collaboration through teamwork. These perceived areas of deficiency point to a significant discrepancy with the American School Counselor Association National Model’s components and themes. Through building skills and capacity for leadership, school counselors can spearhead schoolwide teams to create and evaluate the effectiveness of culturally relevant and evidence-based interventions. School counselors and school counselor educators must use a multi-tiered system of supports as an opportunity to advance the field. The American School Counselor Association (ASCA) National Model and a multi-tiered system of supports (MTSS) both provide frameworks for systematically solving problems in schools, including student behavior concerns. The authors outline a model that integrates overlapping elements of the National Model and MTSS as a support for marginalized students of color exhibiting problem behaviors. Individually, the frameworks employ data-driven decision making as well as prevention services for all students and intervention services for at-risk students. Thus, the integrated model allows schools to provide objective alternatives to exclusionary disciplinary actions (e.g., suspensions and expulsions) that are being assigned to students of color at a disproportionate rate. The manuscript outlines the steps within the integrated model and provides implications for school counselors and counselor educators. Successful implementation of Positive Behavior Interventions and Supports (PBIS) programs should include culturally responsive practices to reduce disproportionality in school discipline referrals and create effective learning environments for all students. Sustaining culturally responsive PBIS programs requires attention to student demographics and the cultural context of a particular school. Recent PBIS research has lacked focus on sustainability and cultural responsiveness within implementation. This case study examines how one school team (principal, school counselors, school psychologist and teachers) infused culturally responsive practices within the PBIS program to meet student social, behavioral and emotional needs in a diverse elementary school. The examination of sustaining the PBIS program over a 5-year period focuses on data sources and interventions that build socially just practices and supports, as well as the role the school counselor plays in the process. Suggestions for school counseling practice also are provided.